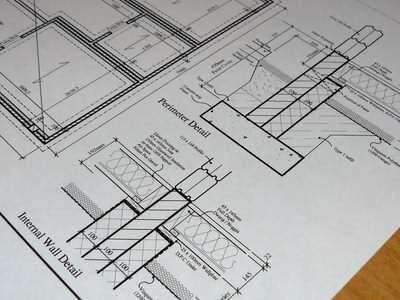 Firstly ensure whether log cabin building regs or permits, apply for your project! The terms and aspects which are involved will vary from country to country and location to location, but most log cabins of a reasonable size will need to meet certain criteria. Again some countries are stricter than others on these regulations, so if you are not sure what is required, speak to a professional who has knowledge in this area. In some cases smaller log cabins which have basic facilities may well not need applications. All advice given on this page is for guidance only, so please make sure you find out what the situation is for your specific log cabin project. Want to know more about Log Cabin Building Regs? Log Cabin Building Regs – What are they? Building regulations or permits are a set of standards which must be met to ensure buildings are designed and constructed in a safe and effective manner. These standards are designed that all buildings are done properly and result in a quality job, which should last and not present problems in the future. Each country and also possibly region with a larger country, will have their own rules which you must comply with. Normally you will be required to submit an application to your local authority (prior to starting work), which details all the aspects in drawings and specifications, covering all relevant areas of work. Inspections will normally take place during the construction process to satisfy the authorities that you are completed the job correctly and as specified in your drawings. In some cases full detailed application do not have to be made prior to starting the job, as long as they are inspected and approved during construction, at all the relevant stages. The danger with this approach is any problem which may occur during the inspection on site, could cause serious delays until they are remedied and this may also have a significant affect on your budget! My advice is get full approval before construction starts and then you will be much more in control during the construction phase. Log Cabin Building Regs – Do you need them? Most log cabins in the medium to large category will usually need them in most developed countries. Smaller log cabins can often escape such regulations however, especially if they do not need water or sewage connections into the building. Log garden cabins often fall into this category in the UK for example which generally has quite strict building regs. Normally a log cabin which is being used as a primary residential dwelling, will need full building regs or permit approval. It is your responsibility to make sure you comply, so if you don’t know what you need for your project, ask! Log Cabin Building Regs – Global variations? I am not pretending to have an intimate knowledge of building regs or permits around the globe, but I do have sufficient experience to know they do vary quite a bit internationally! The UK for example has very strict fire regulations, which with a log cabin can have quite an impact on what you need to do to comply, (more details elsewhere on this site)! This can not only affect the way your log cabin is finished but critically the cost can be increased considerably. In North America and other European countries fire treatment is not required for the most part. Weather, topography, soil types, nearby vegetation, historic events, attitude to safety and many other factors can influence how a country has drawn up these regulations in the first place. With ever changing requirements and technologies, the regulations are constantly getting amended or added to. With the current environmental drive, many factors affect energy efficiency are now coming to the forefront. More and more countries are now required some type of energy performance certification for all new buildings. Thankfully log cabins perform well in this respect, but you still need to do your homework first! Log Cabin Building Regs – Who to speak to? Do not have a clue about building regs, or know where to start? Well it can be quite a minefield and for someone who has not been through the process before it can seem pretty daunting! So who can help you then? Well your log cabin supplier should be able to give you some good advice on the subject. Having dealt with many project before they should have good knowledge on the requirements and the specific aspects that need particular attention with log cabins (as compared to conventional construction). 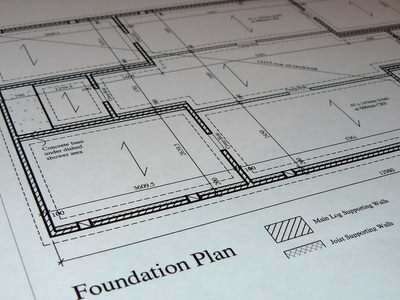 Other people who can help will be independent building control consultants. They may not always be cheap, but if this is all they do, then they should know the regulations very well. Always try to find one who has prior knowledge of log cabins, as this type of construction is not always well known and understood. Sometimes issues which arise are due to the unique nature of log buildings and so someone who is prepared for this will be much more valuable to you. Also you could try and talk to other log cabin owners, especially if they did a self build or are very hands on people. 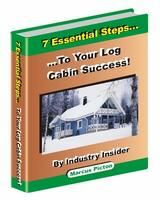 Local log cabin owners or enthusiasts, can be a great source of free information! Log Cabin Building Regs – Which aspects?